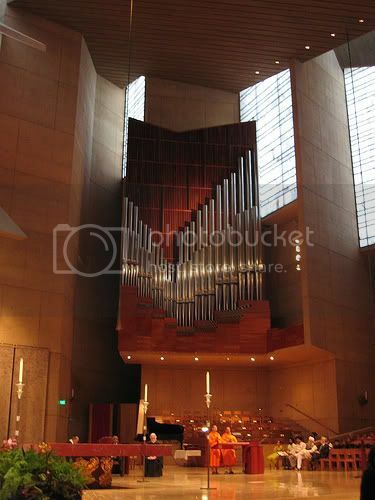 The first two sections below will introduce you to some attractions you may want to explore in Hollywood and the Downtown LA / City Center Area. Next up, we offer attractions and other places to go, see and have fun in and around Malibu, Santa Monica and Venice Beaches. 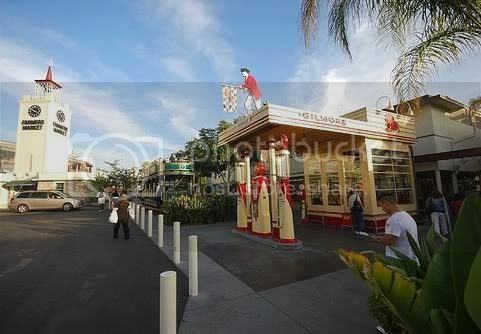 Thereafter, attractions in some of the cities near Los Angeles — Pasadena to the north and Long Beach to the south — are discussed. 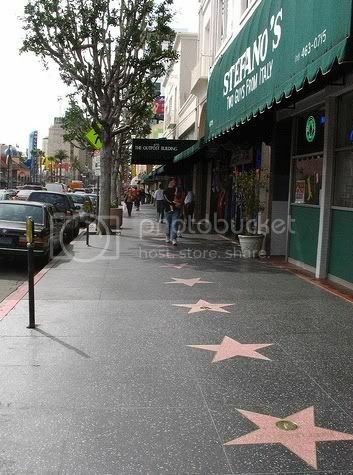 Hollywood Walk of Fame – Don’t miss the world’s most famous sidewalk (at Hollywood & Vine) embedded with more than 2,000 five-pointed stars featuring the names of human celebrities and fictional characters honored by the Hollywood Chamber of Commerce for their contributions to the entertainment industry. Maintained by the self-financing Hollywood Historic Trust, the walk’s first star was awarded on February 9, 1960, to Joanne Woodward. If there’s a particular Hollywood Walk of Fame Star you’re interested in seeing or photographing, this handy L.A. Times reference may save you some time finding it. Hollywood & Highland Babylon Court – You may recognize this Hollywood tourist attraction from telecasts of Academy Awards ceremonies held in the nearby Dolby Theatre (which was, until recently, the Kodak Theatre). Modeled after the massive Great Wall of Babylon set from D.W. Griffith’s 1916 epic silent film ‘Intolerance’, the courtyard pays homage to the great director and gives visitors an idea of why he is known to this day for his extravagant sets. The area features full-scale replicas of an archway and two pillar sculptures with rearing elephants on capitals based on the design of those made for the film’s set. Interestingly, Griffith’s original 1916 set – built at 4500 Sunset Boulevard, at the junction with Hollywood Boulevard – was abandoned by the famous director when he ran out of money. The structure towered over the east Hollywood Silverlake neighborhood for years, decaying bit by bit and becoming hazardous, until it was eventually dismantled in 1919 by the city. 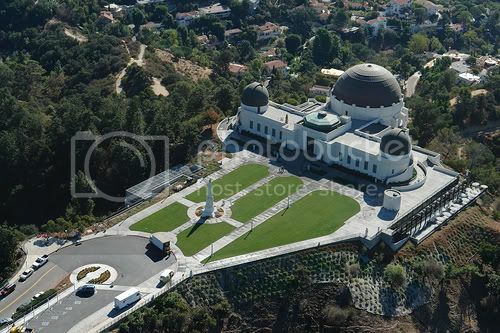 Celebrity Graves (various locations) – Some tourists want to visit the final resting place of a favorite star or entertainer, and some of the better known Los Angeles area cemeteries are Westwood Memorial Park, Forest Lawn Glendale, Hollywood Forever, Holy Cross Cemetery. There’s an excellent book, actually — Forever L.A.: A Field Guide to Los Angeles Area Cemeteries & Their Residents — available at Amazon (click the link for more info) to make this sort of exploration easier. Staples Center – Near the L.A. Live complex and home to two NBA teams (the LA Lakers and LA Clippers) as well as the city’s NHL team (LA Kings), this is a happening place! Staples Center does not offer public tours. Downtown Los Angeles – Print the Los Angeles Conservancy’s self-guided walking tour map (laconservancy.org/tours/downtown/index.php4) or download LA Walks “Historical Tour” podcast (downtownlawalks.com/?f=podcast), and take to the streets to enjoy this area’s architecture gems – from the Beaux Arts magnificence of the Biltmore Hotel to the Art Deco sophistication of the Southern California Edison Building and the Victorian ebullience of the Bradbury Building and Angels Flight. 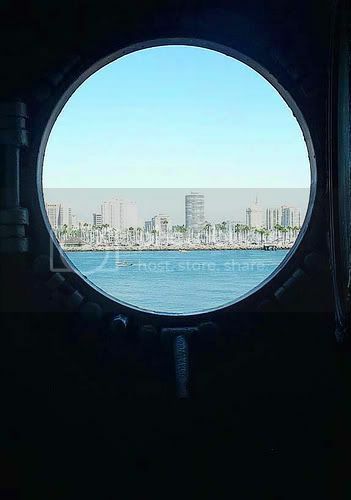 If that list of Los Angeles tourist attractions doesn’t have what you’re looking for, be sure to check out the links below to information about other tourist attractions in nearby Orange County and San Diego. 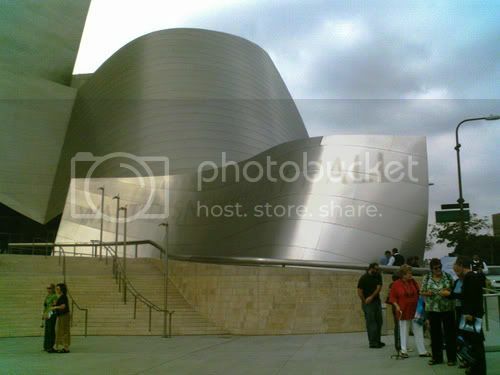 Photo of Hollywood Walk of Fame by Sproston Green via flickr (Creative Commons); Photo of Our Lady of Angels Cathedral by Korean Resource Center via flickr (Creative Commons); Photo of Farmers Market by Californian Em via flickr (Creative Commons); Photo of Griffith Observatory by echo_29 via flickr (Creative Commons); Photo of Walt Disney Concert Hall by DonnaGrayson via flickr (deleted account) (Creative Commons); Photo of Long Beach from the Queen Mary by 4x4jeepchick via flickr (Creative Commons).